Kudu (Afrikaans name, Koedoe) males have these beautiful, enormous twisted horns which have been known to reach a length of 1.8m. 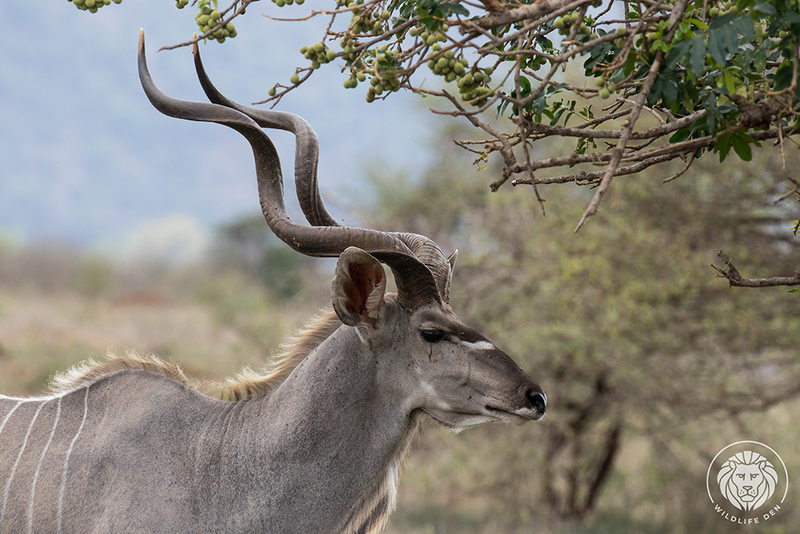 Kudu are the high jump masters of the animal world and are capable of clearing a 2.5m fence from a standstill. When alarmed Kudu run away lifting their tails over their rumps and fanning out the white underside as a warning signal to others. The females (cows) give birth to a single calf in the summer, which she hides in the tall grass for a few days until it is strong enough to follow the mother. They truly are magnificent animals.